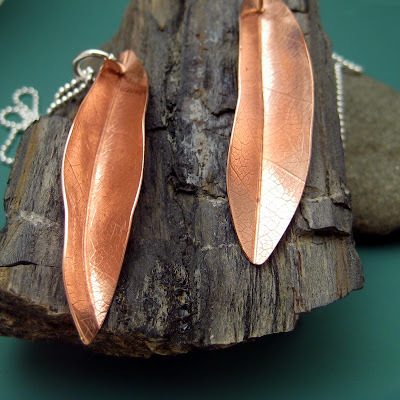 Well lately I've had so much fun with my rolling mill and dried leaves that it has changed how I'm doing my copper leaves. 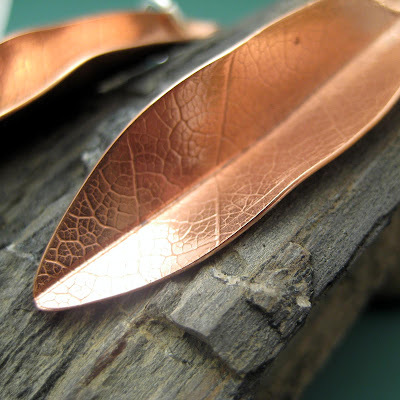 My first version had a punch in the middle with the forged edges of the leaf. 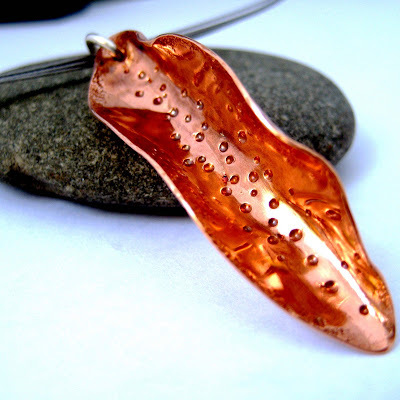 I used a high polish to make this leaf really shine. Now, I cut the leaf shapes, roll them through the mill and then score them down the middle. Of course that is all the easy part! Then there is plenty of filing the edges and then sanding. All the sanding has made my carpel tunnel begin to act up. So now I'm wearing some wrist guards. I suppose that I should quit typing too! 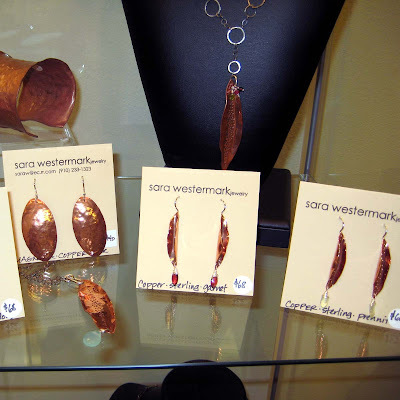 All the leaf items are just wonderful...really, really beautiful work. I'll be following your blog after I type this message (found you in Etsy forum).